An Achieving a Better Life Experience (ABLE) Accounts provide a new opportunity for certain disabled Americans to save money in their own names. For many disabled persons, saving has been a challenge because the public benefits on which they rely often limit the amount of savings they can have to remain eligible. Rather than putting valuable benefits at risk by potentially exceeding “asset limits,” many avoided saving at all. 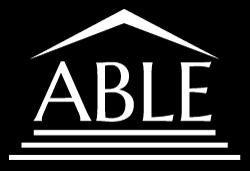 ABLE Accounts enable eligible individuals who are living with disabilities to save money as a supplement to private insurance and public benefits without those savings adversely affecting benefit eligibility. As an additional advantage, ABLE account savings grow on a tax-deferred basis and distributions from ABLE accounts are tax-free if used for qualified disability expenses. Qualified disability expenses include education, housing, job training and support, healthcare, financial management, and basic living expenses. Like 529 accounts, ABLE Accounts are administered on the state level, but you don't have to open one in your home state. However, some states offer state income tax incentives to residents, so if yours does, look at your state plan first. Unlike traditional 529s, the beneficiary/account owner must be eligible in order to participate. There are two ways to be considered an eligible individual. The individual has a disability that is included on the Social Security Administration’s List of Compassionate Allowances Conditions. The main advantage of these accounts is the ability for disabled person(s) to save money in their own name and NOT have the savings adversely affect his/her eligibility for SSI, Medicaid and other public benefits. Unlike traditional 529 college savings plans (where a parent, grandparent or other adult is the account owner and the child/future student is the beneficiary), with ABLE accounts, the account owner is typically the beneficiary. Unlike traditional 529s, there are narrower limits on what can be contributed ($15,000 per year), limits on how much can be saved in total (some plans cap at $100,000) and account owners cannot have more than one account. 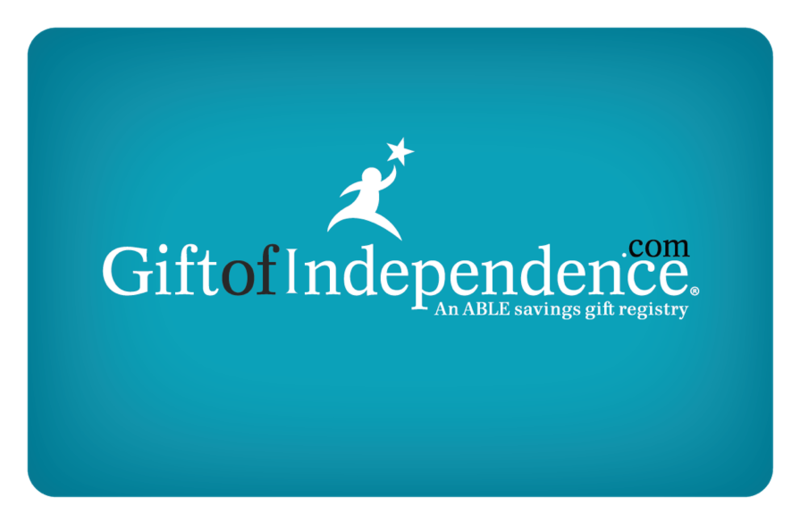 Gift of College works with 529A accounts across the country making it easy for friends and family to give the Gift of Independence to their loved ones. Start by selecting and opening a 529 ABLE account. Here is a list of states with active 529 ABLE accounts. Enter the the ABLE account owner's name and additional information, if any, to share on this gift registry's social media profile. Link the 529 ABLE account to the profile. ABLE account owners may want to encourage family and friends to help with contributions in lieu of traditional gift-giving. They may add their profile link on special occasion and birthday invites to make it easy for others to contribute, or anyone can simply go to the registry and search by last name to find a profile. Gift of Independence gift cards are available online at www.giftofcollege.com. Cards are available in denominations of $25 to $200.